​Monika is the grateful and proud owner of The Yoga Nest! This Bay Area native was first introduced to yoga eight years ago while living in Los Angeles, CA. After many failed attempts at "fixing" her extreme anxiety through various medications, she decided to give yoga a try. She instantly fell in love with the practice, ditched the medication and has found her life to be infinitely happier and healthier ever since. In 2014, Monika became a certified instructor in yoga and Ayurveda. She then received additional training in Advanced Asana through Julie Rader’s Mukti Yoga School at The Green Yogi in Manhattan Beach, CA. Monika has taught all over Los Angeles and continues to teach in her new home of Kona. She and her partner opened The Yoga Nest with the goal of providing an inviting, peaceful and serene yoga studio to the Kona community. Whether guiding students through a sweat-filled power flow or a relaxing restorative class, Monika teaches with the intent of connecting us back to soul energy and our intuitive body. She is a lover of the earth, the sea, playtime, and all things healing. Her classes are tailored to reflect that love. ​Aaron has been practicing yoga for over 25 years and brings unique sequencing to his classes. Aaron was introduced to yoga at the tender age of 14 when his mother handed him a cook called "The Five Tibetans." For nothing more than wanting to use the book's knowledge to become a better surfer, Aaron found himself waking up at 5am to start his day with yoga breathing and movement exercises. It wasn't until his late teens that yoga became something he truly started to enjoy, primarily for its ability to advance athleticism. Later in his twenties, he began to recognize the incredible benefits of yoga beyond just the physical and dove deeper into workshops and teacher trainings. His classes are challenging, grounding, and very creative. Born and raised on the Big Island of Hawaii, Whitney encompasses the spirit of aloha in her yoga practice and teachings. Diving into her practice at the young age of 16 years old, yoga has been part of Whitney's life for over 10 years. In 2010, she decided to take her practice a step further and completed her 200HR YTT in Oceanside California through the True Nature School of Yoga. She craved to learn even more about the body and attended massage school, graduating in 2015. Whitney strives to keep an organic, relaxed yet powerful flow in all of her classes. Whitney’s love for yoga and all of its traditions has inspired her to share this powerful connection between mind, body, and spirit. Vesela Mincheva was first introduced to yoga 15 years ago in her home country Bulgaria. A seed was planted back then that grew steadily over the years. Today, she believes the most ancient science is yoga science. Her practice is a beautiful dive into a spiritual path that she wishes to share with everyone. Finding harmony in breath, mind and spirit is what Vesela works to achieve in her classes. She understands that asana (physical posture) purifies the body and teaches concentration, and that through systematic practice of pranayama (breath) and meditation one becomes cleansed of all faults and comes to see the transitory nature of all things. Her classes help students rise above the mind. Vesela teaches vinyasa, restorative and yin yoga. She is RYT-200, LMT, Yoga Therapy Stage 1 practitioner with BSY, and holds a degree in Kinesiology and Rehabilitation Science from UH Manoa. 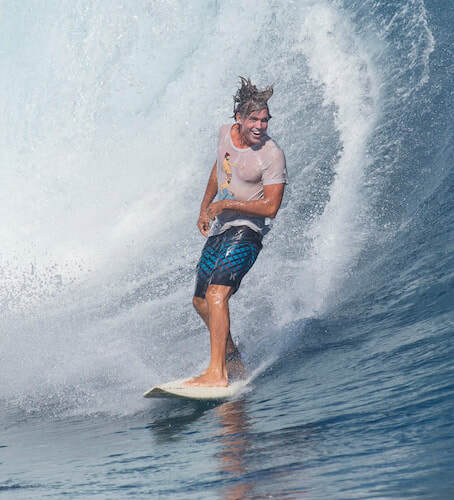 Chad Campbell is a lifelong surfer and yoga lover from Kona on the Big Island of Hawaii. Chad found yoga as a means to heal after a surfing injury and it has been a part of his life ever since. After building a strong asana practice, Chad ended up getting his teaching certification through Mukti Yoga School. He now has a deep appreciation for all 8 limbs of yoga and is very grateful for the practice. He was certified by Julie Rader (aka Sensei), and Linda Baffa of Mukti and has been teaching off and on since 2010. Chad's flows are fun, alignment based, sometimes musical, sometimes quiet, with a bit of "philosophy" sprinkled in. ​His influences are Aaron Duncan, Julie Rader, Shane Dorian, Jack Kerouac, Tenzin Gyatsu, Jack Burton, Wu-Tang Clan, and most obviously the Ocean. ​Andrea loves to share the incredible benefits of yoga! 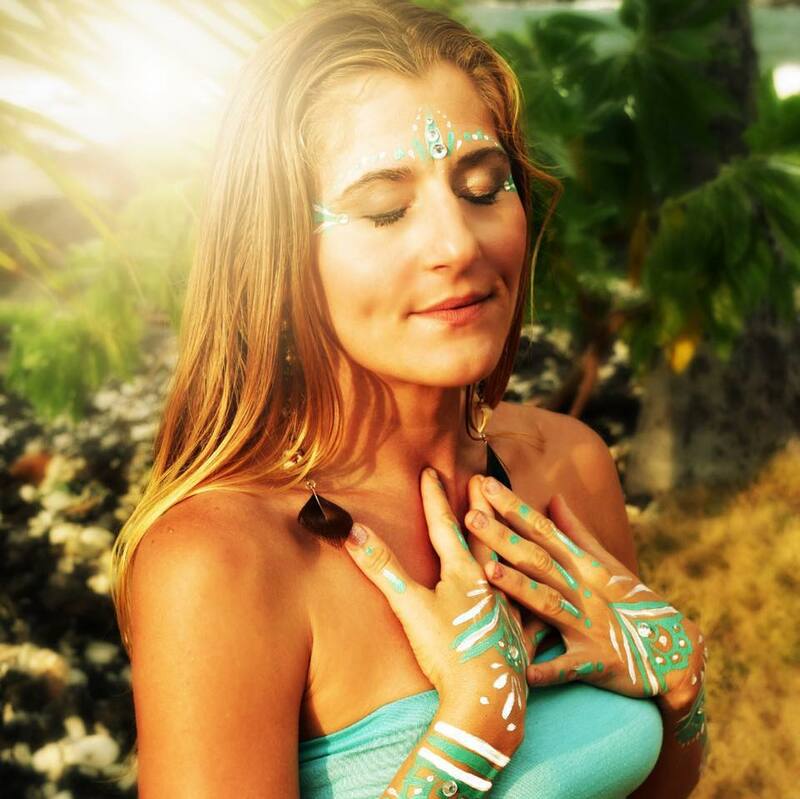 Originally hailing from Sedona, Arizona, Andrea holds over 500 hours of yoga teacher training and has brought that knowledge to the Big Island. She has been practicing yoga for over 18 years and believes yoga is a preventative science that promotes good health on every level. Andrea has created and been involved with many different types of yoga including: restorative, couples yoga, chi kung, psoas trauma release, yoga with free weights and even kids yoga. Try her powerful and fun flows at The Nest! Melissa is originally from Hollywood Florida. She started her teaching career in 2010, in Boulder Colorado and in 2012 she moved to the Big Island. Melissa holds a 200 hour teachers certification in Hatha Yoga and has continued her yoga journey by incorporating trainings in Astanga Vinyasa, Hot yoga, and Yin—incorporating them as parts of her teaching practice. Learning the magical gifts of self discovery and self love is what connects Melissa to her personal practice. Yoga lead Melissa to become a massage therapist, with a flourishing business here, in Kona. Helping people on their healing path is part of her purpose in this life. Her other and most exciting purpose is to be the best Mom to her very special son, Jai. Aleah is a yoga instructor from Springfield, Illinois. A dedicated yogi from the age of 12, she has always had a passion for understanding the human body, mental body, and vibrational body. At age 17, Aleah was an honor roll student in the midst of applying to universities when she knew her heart yearned for something different. Aleah bought a plane ticket to the Big Island and instantly felt at home. She began teaching yoga as an Eco-Yogi intern at Hawaiian Sanctuary and felt herself stepping onto her true path. She followed this path to Lembongan, Bali and obtained her yoga certification in Ashtanga. After her yoga teacher training, she chose to move back to the island that had given her the encouragement to be herself. She has been blessed to teach Power Flow, Hot Vinyasa, Slow Vinyasa, and Kid’s Yoga to the Kona community and shows no signs of slowing down. Through dedication and a healthy mindset, Aleah believes in deepening the connection to our highest self and she seamlessly weaves this into her practice. Dhivya has been a seeker of Truth for as long as she can remember. With a background in International Relations and Interior Design, Yoga found her while she was teaching high school English in Japan, in a used book store, when she opened a book called “Ashrams in India”. The page she turned to highlighted an Ashram/Yoga school called the International Center for Yoga Education and Research (ICYER/Ananda Ashram) that she would later study at for six months in Pondicherry, India in 2012. Dhivya’s Yoga background is rooted in the lineage-based practices and foundational knowledge she gained from her studies of Rishiculture Ashtanga Yoga at ICYER under the guidance of Meenakshi Devi Bhavanani and Dr. Ananda Bhavanani. She has also been practicing Mysore Ashtanga Yoga for 8 years, studying with Kona’s Norman Allen, Sandy Harrington and Prem and Radha of Ashtanga Yoga Bali Reasearch Center. This past summer she completed a 200HrYTT with Alyssa Kratz. Dhivya’s classes are heart based offerings of asana, pranayama and sound healing, embodying the Spirit of her teachers.